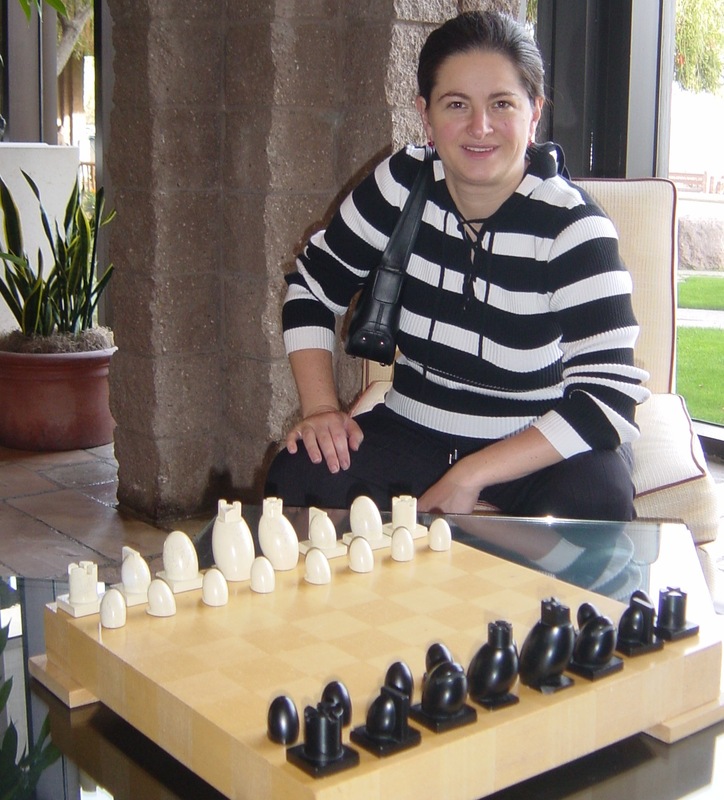 Anjelina Belakovskaia, a lecturer at the UA Eller College of Management, is a three-time U.S. Women's Chess Champion. 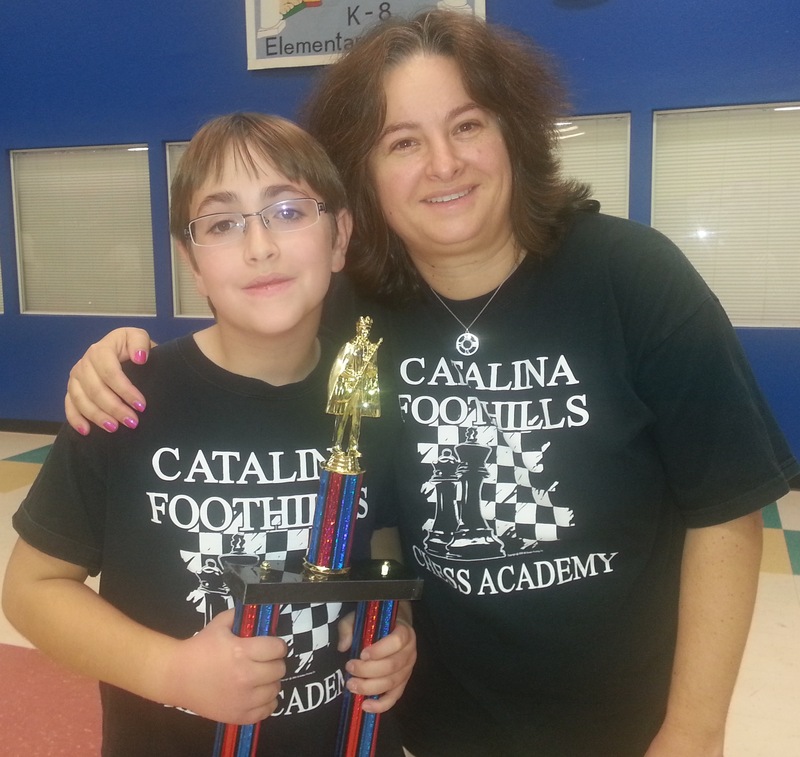 At one point, Belakovskaia's oldest son, Brian, was ranked as one of the top 100 chess players in the country by the U.S. Chess Federation. Anjelina Belakovskaia, a lecturer at the UA Eller College of Management, knows all about risk. Belakovskaia is a three-time U.S. Women's Chess Champion who has played chess competitively around the world. In the early 1990s, Belakovskaia came to New York from the Ukraine, where she says chess was more popular than basketball is in the U.S.
"My mother taught me to play," she said. "My dad was getting his Ph.D. and my mother thought playing chess would be good to keep me out of the way. And soon, I was beating her." Though she knew hardly any English when she arrived in New York, she quickly found herself hustling unsuspecting chess players in Washington Square Park. In subsequent years, Belakovskaia would become the U.S. Women's Chess Champion three times – in 1995, 1996 and 1999 – and led the U.S. women's chess team in three Chess Olympiads. She went on to graduate from the Courant Institute of Mathematical Sciences at New York University and then to work on Wall Street. Shortly after, she headed a trading desk at one of the country's largest energy companies. Belakovskaia came to Tucson in 2003 with her husband, Lawrence Bernstein, to be closer to her parents and just in time for the birth of her first son. Since 2011, she's been teaching UA business students to design creative trading, hedging and risk management strategies using some of the strategic critical thinking skills she uses when playing chess. "The king is like the shareholders," she said. "The queen is the CEO. Yes, the queen is important, but without a king, there is no game. Pattern recognition, thinking a few moves ahead and dynamically transitioning from one position to the next is extremely important in achieving a company's ultimate goals." Belakovskaia teaches risk management and derivatives classes at Eller, as well as a new "Chess, Leadership and Business Strategy" class at the UA Honors College. She said skills like pattern recognition, logic and strategy apply to both chess and the business world. "These days, young people try to memorize information instead of building skills," she said. "You have to assign the strategy to the game – you can't let someone else dictate it. If I can help prevent a couple of financial disasters, I would feel very good." Belakovskaia also shares her love of the game with new generations of chess players. In April, she organized the second annual Chess and Science Festival and All-Girls Tournament in coordination with the UA Flandrau Science Center and Planetarium. The event was sponsored by the Department of Mathematics and UA BookStores. Belakovskaia's three children, ages 10, 7 and 5, all play chess competitively in tournaments as well. At one point, her oldest son, Brian, was ranked as one of the top 100 players in the country by the U.S. Chess Federation. "It's amazingly beneficial" for young people to learn to play chess, she said. "Chess teaches logic, critical thinking and analytical skills. If students are able to take a complex problem and break it down to simple underlying elements, they can find the solution." Belakovskaia said she is planning to compete in the U.S. Chess Championship next year, and will be playing in several upcoming tournaments to train. After all the years she has played competitively, she says she still enjoys the game, especially challenging positions that she studies and solves like puzzles. The most important piece of advice she shares with her students is to never give up, whether it's in chess, business or life. "I teach my students to never resign," she said. "Fight. You never know what can happen. It's a question of spirit." For more on Belakovskaia, check out this Arizona Public Media story. Also, check out this video for some highlights of last year's Chess and Science Festival and All-Girls Tournament, including Belakovskaia's son playing a simultaneous exhibition – 10 games at once against multiple players.